Photo of: Midlands of Ireland: Cavan: Virginia: Lough Ramor. 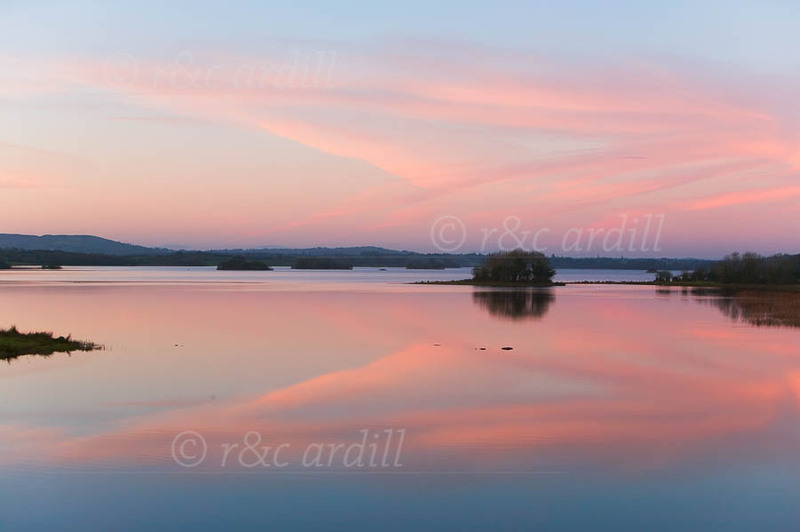 Lough Ramor is a beautiful lake in County Cavan by the lovely town of Virginia. This is an evening scene on a very calm winter's day. Several crannogs can be seen. These are artificial islands created in ancient times using piles of alder logs and brushwood in the shallows of a lake. Earth was piled on top and a settlement of huts built inside a strong wooden palisade fence. The crannogs were usually accessed in round skin-covered boats called curraghs.